In almost every major war there comes a point where defeat looms for one side and its rulers cut a deal with the victors, if only in an attempt to save their own skins. This title offers an account of the final months of the Nazi war machine, from the failed attempt to assassinate Hitler in July 1944 to the German surrender in May 1945. 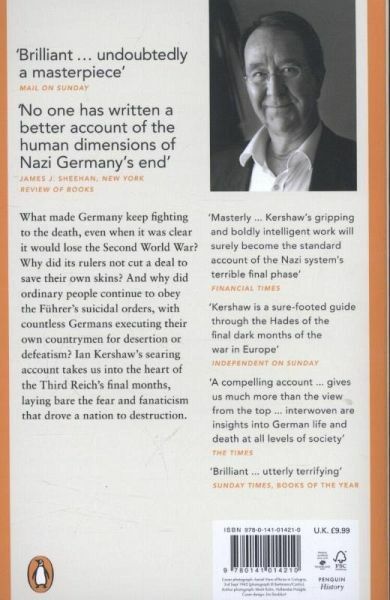 IAN KERSHAW is the author of Hitler 1889-1936: Hubris; Hitler 1936-1945: Nemesis; Making Friends with Hitler; and Fateful Choices: Ten Decisions that Changed the World, 1940-4. Hitler 1936-1945: Nemesis received the Wolfson History Prize and the Bruno Kreisky Prize in Austria for Political Book of the Year, and was joint winner of the inaugural British Academy Book Prize. 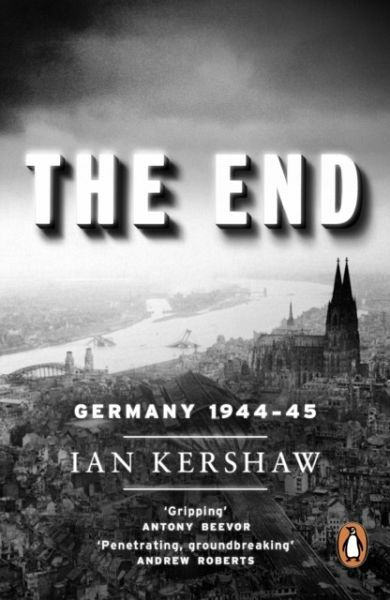 Until his retirement in 2008, Ian Kershaw was Professor of Modern History at the University of Sheffield. For services to history he was given the German award of the Federal Cross of Merit in 1994. He was knighted in 2002 and awarded the Norton Medlicott Medal by the Historical Association in 2004. He is a Fellow of the British Academy, and was the winner of the Leipzig Book Prize for European Understanding 2012.